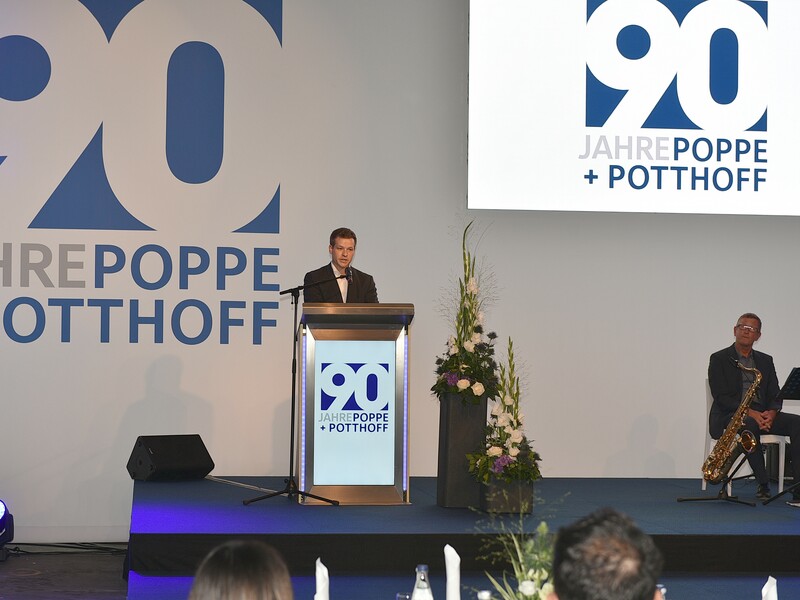 Werther (Germany), September 7, 2018 - A "90" made of tubular steel goes around the world – proudly presented by the employees at the original plant in Werther and at the Poppe + Potthoff sites. The film created by the staff on the occasion of the company's anniversary touches Dr. Christian Potthoff-Sewing: "It's the people that make the difference." 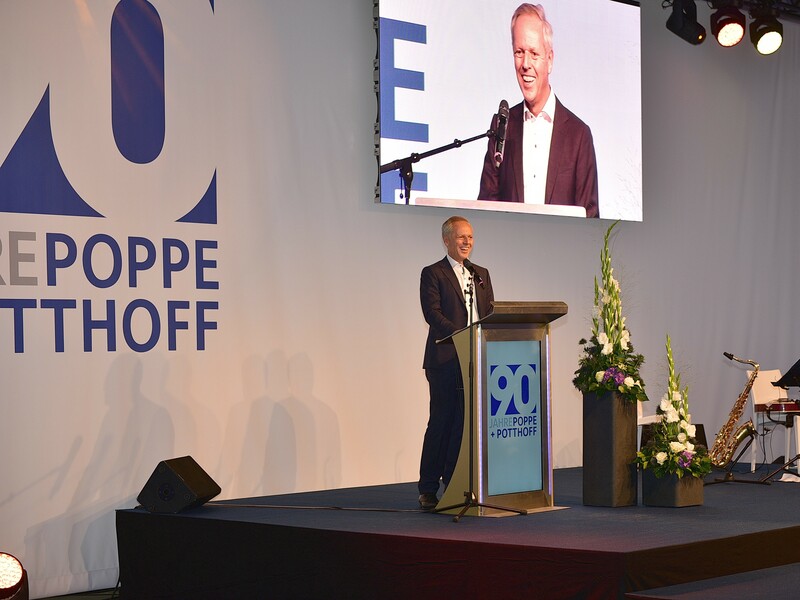 “I see many faces here that have not only worked for the company, but fought for it.”, the CFO and President of the Poppe + Potthoff Group emphasizes. Courage and adaptability, appreciation and trust as well as down-to-earthness and persistence helped the family business to overcome even difficult times. Today, the company, which was founded in 1928, is in full swing. The promise of Friedrich Poppe and Hermann Potthoff “to provide the best in material and design for every application” created the basis for the values that determine the highly specialized metal processor: precision, innovation, flexibility. With 1500 employees at 17 locations, P+P is now active in over 50 countries in vehicle, ship and mechanical engineering as well as many other industries. The portfolio includes precision steel tubes, high pressure lines, common rail subsystems and special machines as well as precision components, couplings and stainless-steel railings. 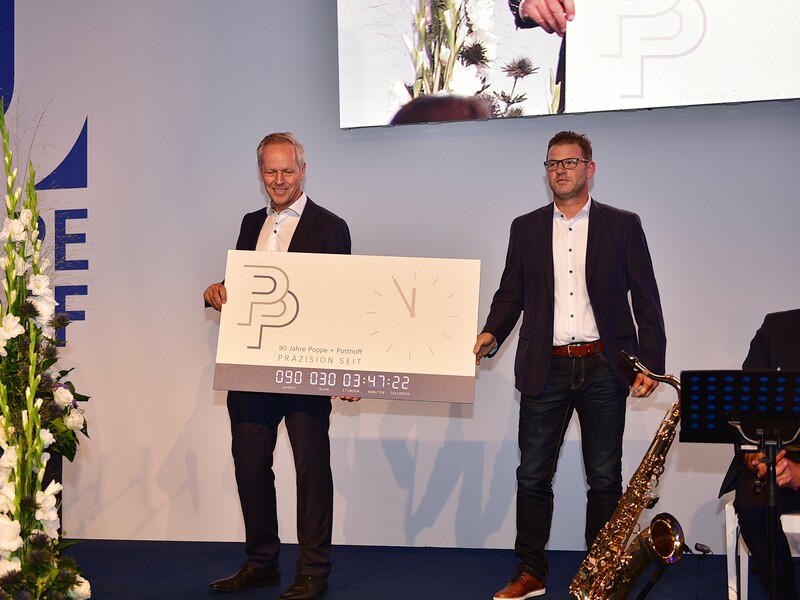 Family management, diversification and internationalization ensure stability and growth: as a partner to its customers, P+P is increasing its share of the value chain by expanding vertical integration and services such as the development and validation of components for demanding applications. 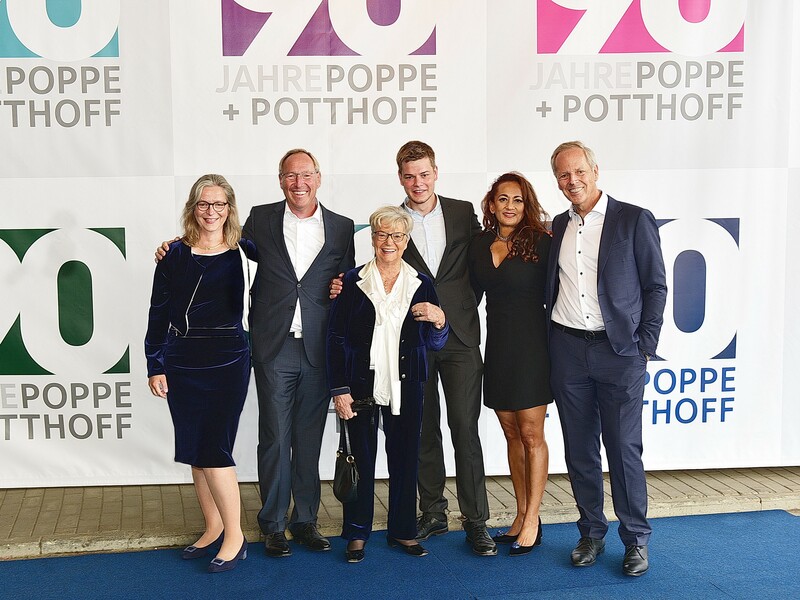 The joint commitment of the owner family, managers and employees is paying off: in 2017, the P+P Group achieved record sales of 200 million euros. To ensure that the signs of the times are also correctly interpreted in the future, the Workers Council donated a large clock that shows the period since the company was founded. Marketing Manager Martina Engler-Smith re-enacted the company’s multi-faceted story: “90 Impressions that make an impression” is the title of the online collection of snapshots from everyday company life. They reflect a corporate culture that sustains all business areas and locations consistently and adaptably at the same time.